Supplier & Distributor of Industrial Belt Conveyor. Our product range also comprises of Coal Handling Plant, Food handling Conveyors and Roller Conveyor. The Industrial Belt Conveyor is available in different dimensions and widely used by our clients. These conveyors are appreciated for their unique features. These conveyors are free from rust and provide efficient functionality. We manufacture and export industrial belt conveyors to our customers at extreme range. These conveyors are easy to install and easily available in the market. 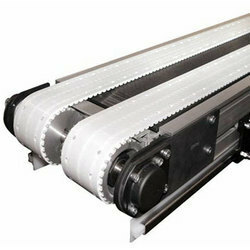 Looking for Industrial Belt Conveyor ?